SAP 2002 has been a great success with 75 countries participating in SAP courses with wonderful results. At this point, only a few courses are yet to be run to fulfil the 2002 programme. SAP 2001 visited 60 countries in all, being the largest participation numbers in the history of SAP, so this year will be even bigger. 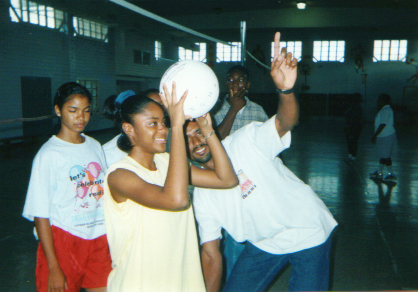 Every year the FIVB provides nets, balls, t-shirts and instructors from around the world to National Federations of Category One and Two to teach players, coaches and teachers the game of Volleyball. 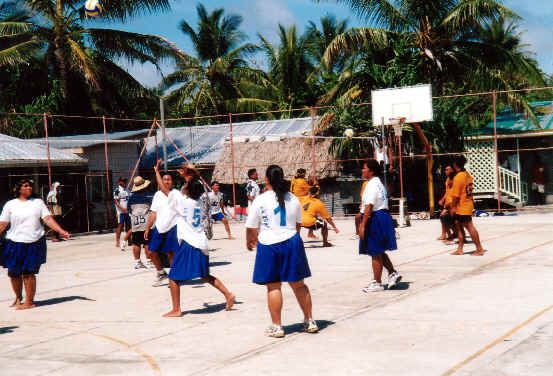 The programme helps to promote Volleyball in these countries and the results of the teachers’ courses have been fantastic, with the teachers using their new skills to start up and train Volleyball teams in their schools and communities. This year, due to the success of the Programme, there is also four countries from South America participating. The courses started in July and will run through to December. They are from six to eight days long (depending on which course is being held). If you would like to attend a SAP course this year, please contact your National Federation to enquire about which course they will be hosting and when it will be run. Click on your National Federation below to access their contact details. Click here to view photos from the latest courses.